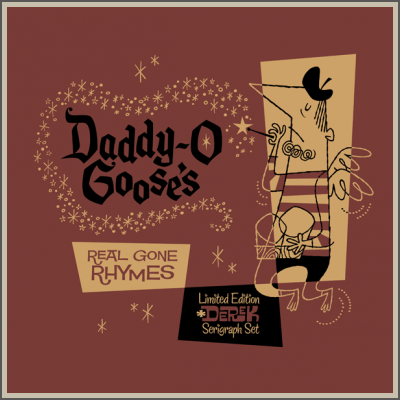 Forget Mother Goose, dig on Daddy-O Goose and his Real Gone Rhymes! 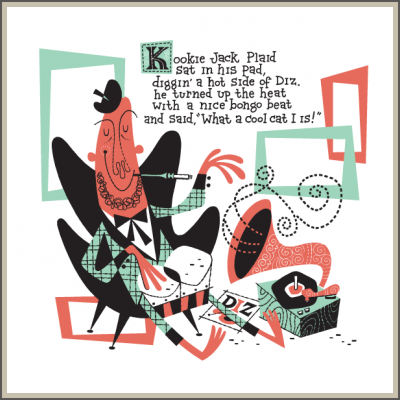 Created by our own Derek Yaniger! 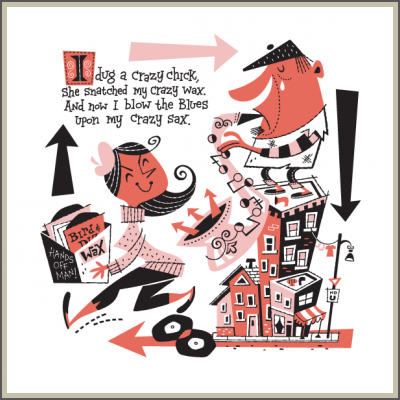 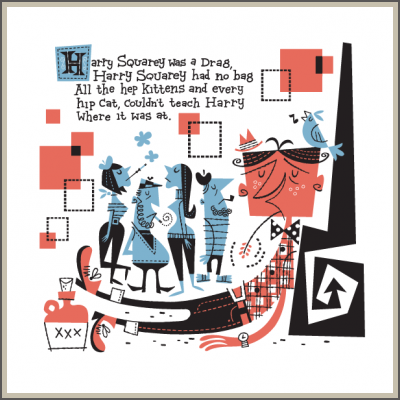 This collectable set contains four silk screened serigraphs printed on heavyweight archival paper and each measures 12" x 12" with the cover at 24" all signed and numbered by the artist in a super limited edition of 30.